Is your Bob Lee showing the ravages of time? We can help! We understand that there will be scratches, scuffs and dings to our equipment. And we enjoy seeing our bows frequently ferreted into field and forest. But we also know that even those bows with the most meticulous handlers will suffer the occasional scarring. 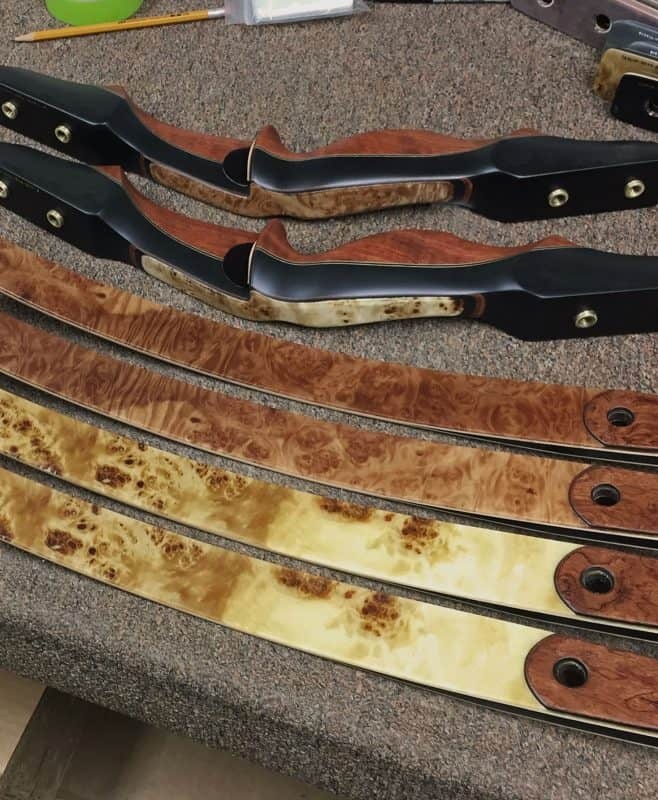 When a refurb is in order, we can do a partial refinish (limbs or handle only) or provide a full bow (tip-to-tip) restoration. While we cannot remove deep gouges (such as those venturing into the limb fiberglass), we can most often restore your bow to a near-new appearance – right down to fresh silkscreens. And, we include a new string and FREE shipping back to you. It is important to understand that we do not offer a standalone warranty on the newly-applied finish. The bow is only covered under the terms of the original 2-year warranty to the original owner, if still within the 2-year effective period. If for some reason you send your bow to us and decide against the refinish, you would then be responsible for return shipping. If you would like us to assess your limbs and/or handle and how they would benefit from a refinish job, you’re welcome to email us your photos for a rough assessment before ordering the service. Interested in reducing the draw weight of your Bob Lee? Visit our Weight Reduction page. We do not offer restoration for the vintage Wing Archery bows. Our process requires removal of the original silkscreens and decals – which cannot be replaced – and many of these bows are too fragile (and also irreplaceable!) to withstand the process. We get frequent requests for restoration of these collectibles, but we simply can’t assume the risks. It is heartwarming, however, to hear that those old bows are still collected and coveted.